About the New Forest National Park. A brief history of the New Forest, England's smallest National Park created in 2005. There is something unique about the New Forest; a comforting atmosphere that I've known since visiting my grandparents in Boldre in the 1970s. 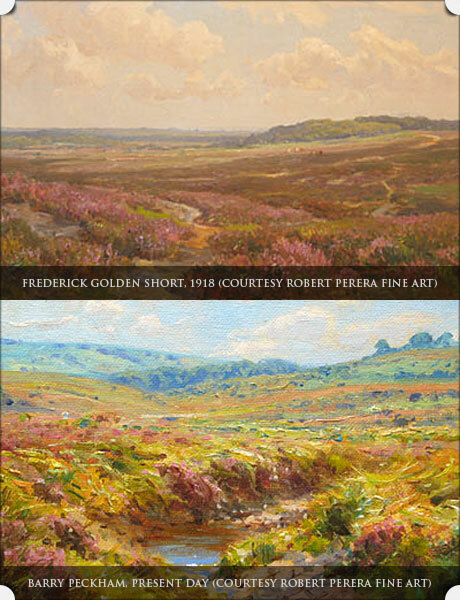 My first memories of the Forest are of long walks with three hairy Jack Russells across the heath, following little clay paths created by the ponies which wound through the vibrant purple heather across a beautiful lowland landscape. This landscape has changed little over the years, with the exception of the inevitable rise of technological necessities such as Fawley Refinery, which can be seen spiking up in the distance as one looks across the area between Beaulieu and Fawley, or the colossal pylons that cross the Solent Way near Dibden. 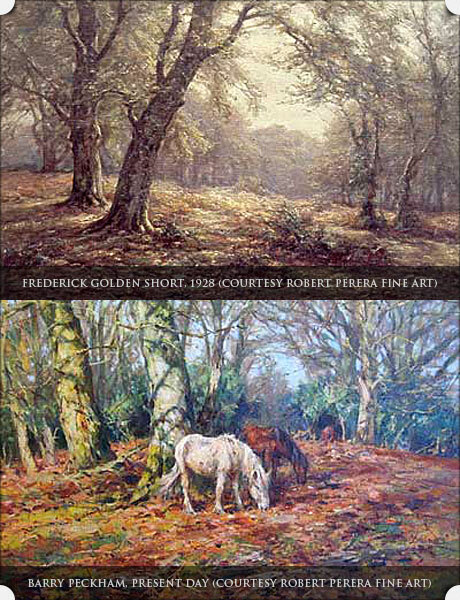 Other than these wrinkles, the New Forest of today resembles the New Forest of a century ago, as can be seen in the landscapes of Frederick Golden Short (1863-1936) and Barry Peckham (b.1945). Within this landscape an interesting human history has developed; one which traditionally begins with the designation of the New Forest as a royal hunting ground by William the Conqueror in c.1079, followed by the death of his second son, William II (William Rufus), in a suspicious 'hunting accident' in 1100. The latter event is commemorated by a memorial called Rufus Stone, located near the Sir Walter Tyrrell pub. No prizes for guessing the name of the suspected assassin. The ponies of the New Forest (still owned by New Forest Commoners) have been grazing the land for over a thousand years and are synonymous with the area, although there is wealth of less visible wildlife throughout the region. The ponies have right of way over vehicles on New Forest roads (40mph speed limits apply), although sadly and inevitably there are plently of traffic-related pony deaths every year. The New Forest National Park is now the smallest national park in England, and was designated as such in 2005. Since the New Forest gained its National Park status, the New Forest National Park Authority have erected more than 50 specially designed markers around the perimeter of the Park. Most of them are custom made from wood sourced and manufactured by local suppliers. 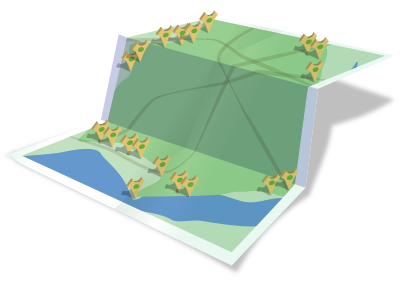 You can discover most of these markers and their surroundings on this website. The marker design (see below) was intended to convey the impression of a stylised oak tree. The larger markers are 'ancient oak' trees, and the smaller markers 'young oak' trees. In fact, the markers are made from Douglas fir rather than oak because of its potentially longer lifespan and durable finish. The 'ancient oak' markers can be found at the most significant entry points to the National Park. The 'young oak' markers are the most widespread, marking most other roads and some footpaths. In addition to the wooden markers there are four polycarbonate markers as well as a number of zinc discs across various forest footpaths. All markers have been positioned at entry points to the New Forest National Park boundary.